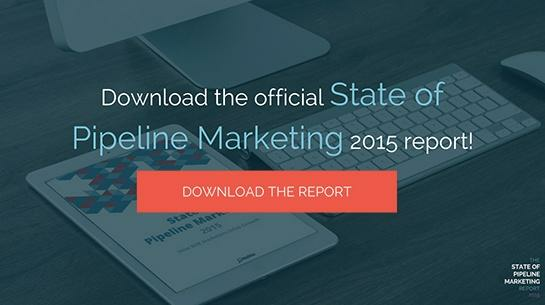 The 2015 State of Pipeline Marketing Report has seen its first annual debut, and its statistics and implications are as intriguing as we anticipated. For your easy-viewing pleasure, we’ve created a SlideShare presentation that conveys the data and statistics that were included in the study, and this article contains snapshots of the key slides from the deck. The purpose of the State of Pipeline Marketing Report is to evaluate the pipeline marketing and attribution sectors of the B2B marketing space, and discover any trends, norms, or other conclusions that can be drawn from the data collected. The SlideShare presentation contains exclusive statistics that were not included in the original publication of the report, but have been derived from the same survey data. Don’t miss this opportunity to gather exclusive findings that your colleagues or competitors may not know yet. What Does the Pipeline Mareketing Slideshare Cover? A plethora of industries are represented by our survey respondents, creating a well-rounded data set from a wide range of perspectives and experiences. Fifteen industries including Software/Tech, Marketing/Advertising, Financial Services, Manufacturing, Support, Education, and Healthcare contributed to the findings of the following research statistics. Of all of the popular marketing channels, 89% of marketers use email marketing to reach out to prospects, leads, and opportunities in their pipeline. Next up is content marketing (82%), SEO (79%), and events (71%). The fewest percentage of marketers invest in video advertising (20%), though that may not imply that video isn’t an effective channel -- just a more expensive one. The survey measured respondents’ familiarity with Pipeline Marketing, the marketing discipline of attributing revenue across all contributing marketing touchpoints in order to define each channel’s revenue-generating ROI. Accomplishing this feat of marketing heroism is dependent on marketing’s relationship with their sales team. It would stand to reason that the more familiar marketers are with Pipeline Marketing, the more aligned they are with their sales team. And as the chart above shows, this is generally the case. The survey asked respondents to mark which type of attribution model they used. When the results came back, we learned that 24% of marketers don’t have an attribution model. That almost 1 in 4 B2B marketers don’t have a clear idea of which channels generate the most ROI was surprising to say the least. The next most-popular attribution models are first touch, lead conversion touch, and last touch -- all of which are single-touch attribution models. Just over 55% of marketers use a single-touch attribution model. The State of Pipeline Marketing 2015 Report includes a section that sheds some light on how CMOs view Pipeline Marketing and attribution. We asked respondents to identify whether they think they’re using the correct attribution model. While more CMOs responded positively than did the average marketer, 57% of CMOs still indicated that they aren’t confident in their attribution model. As promised, this SlideShare includes a group of exclusive statistics that the original report doesn’t analyze. Among them are six statistics that examine how Pipeline Marketers are different from the general population of marketers. At a rate of 37%, those who self-identify as Pipeline Marketers are 10% more likely than the average marketer to have chosen their attribution model because it gives credit where it’s due. By the time our team buttoned up our first annual State of Pipeline Marketing Report, we definitely felt proud to be Pipeline Marketers, armed with the tools we need to accomplished revenue-centric analysis. Download the official version of the State of Pipeline Marketing Report 2015, and have a digital copy of these marketing stats for yourself.